The world’s oldest bridge, located in the south of Iraq, is soon to be to be saved for future generations thanks to the Museum’s pioneering emergency heritage management project. Aerial view of the bridge and the city of Girsu in the background. The bridge at Tello was built in the third millennium BC, making it the oldest bridge still in existence. This remarkable survival will be preserved by a team of British Museum archaeologists and Iraqi heritage professionals who are being trained to protect ancient sites that have suffered damage at the hands of Daesh (or the so-called Islamic State). Restoring the 4,000-year-old bridge will be a potent symbol for a nation emerging from decades of war. 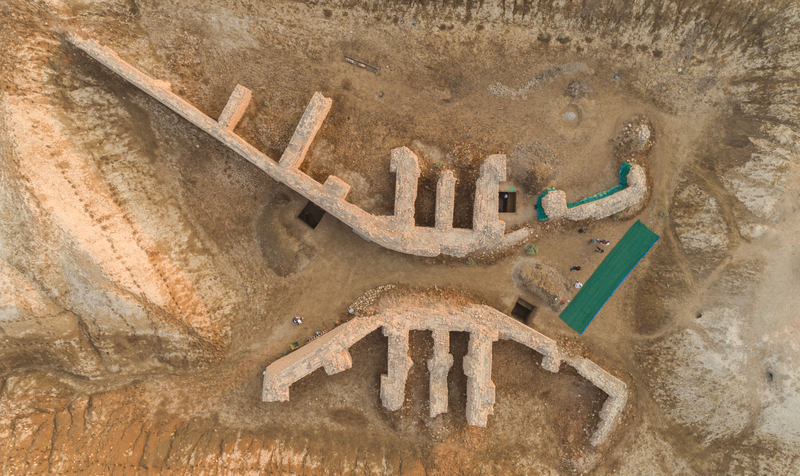 Aerial view of the bridge in the ancient city of Girsu (modern Tello). The British Museum is proud to be working with the Iraq State Board of Antiquities and Heritage to undertake this work as part of the Iraq Emergency Heritage Management Training Scheme. The bridge’s conservation will be part of the fourth phase of the Scheme, with field training of two groups of trainees beginning in autumn 2018. These latest trainees will be the first female archaeologists to be trained as part of the five-year project. Trial of wall reconstruction techniques. Saving the bridge could one day lead to the site welcoming tourists from around the globe to learn about Iraq’s rich heritage. Alongside the archaeological work, the project will see the creation of a visitor centre at the site, which will hopefully lead to the return of international tourists to the region, who have stayed away during recent conflict. The new visitor centre will explain in both English and Arabic how the bridge has contributed to world history, and tour groups from outside Iraq could begin to visit the site by 2020. The need to protect the bridge arose from preliminary work by the first two Iraq Scheme excavation seasons. The preliminary assessment stressed the urgency of carrying out a larger and more ambitious conservation programme, including emergency excavations. 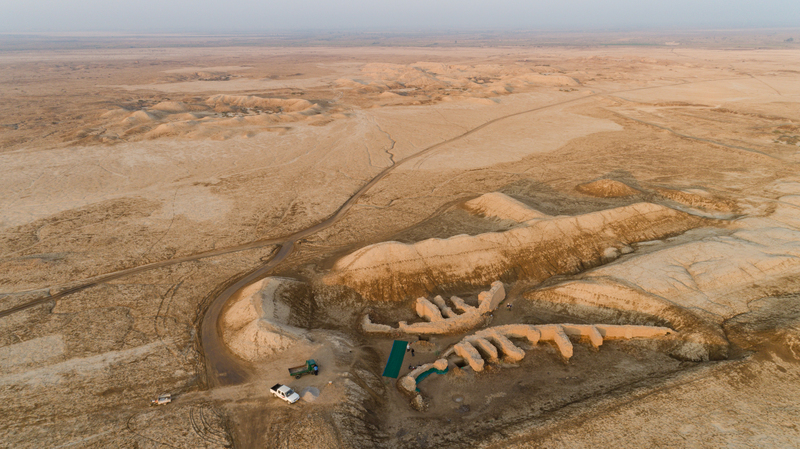 Even during this early phase, two trenches were uncovered, containing well-preserved deposits of the prehistoric Ubaid period dating to the fifth millennium BC. These contain a wealth of information on the origins of Girsu and, consequently, the birth of urban centres in Mesopotamia, one of the earliest known civilisations. This would improve international recognition of the rich and important heritage of Iraq. The next group of Iraq Scheme participants that will carry out this vital work are eight female heritage professionals from the Mosul region. They will arrive in London this month to train at the British Museum in all aspects of archaeological fieldwork and emergency archaeology. 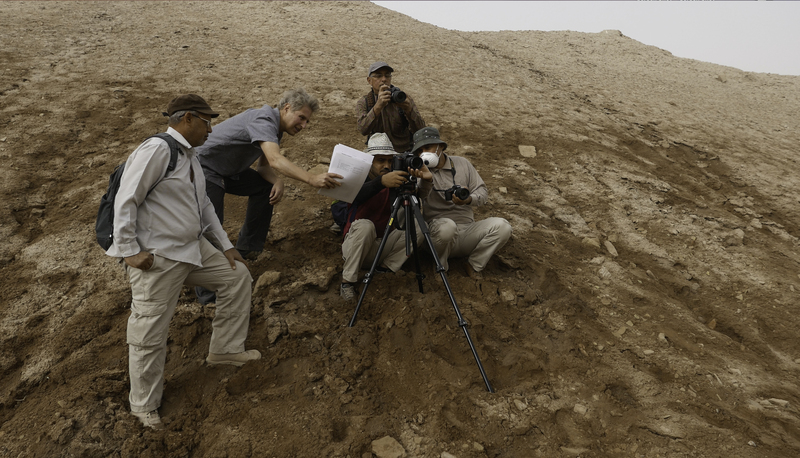 Their future work will continue the success of the Scheme so far – for example, one graduate has been appointed by the Iraqi State Board to lead the assessment of the site of Nimrud. The archaeological team at Tello. This is a hugely important project to ensure the long-term sustainability of the world’s oldest bridge, which is an incredibly clever piece of ancient engineering on a grand scale. The full conservation programme will not only provide access to the site for the local community and tourists, but it is hoped that it could yield unprecedented finds that may lead to a new cultural centre of interest in the region – one of the poorest provinces of Iraq. This is an important emblem of Iraq’s heritage and restoring the bridge is a symbol of a brighter future for the Iraqi people. You can find out more about the Iraq Emergency Heritage Management Training Scheme on the Museum’s website.